After applying this light leaks you will get the image with the magical neon glowing! This light leaks will suit perfectly to any image! We try to show its suitability on the preview image! As you can see it works with landscape and portrait shoots perfectly! Even tender kitty image will look so amazing after this neon effect! 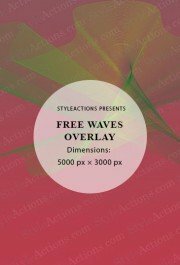 This effect will be perfect for you if you are looking for creative and trendy effect! Try it and enjoy the results right now! This effect can become only the first step of you editing process, after this overlay applying you can continue bringing your image to the perfection! You can even apply tow or three overlays in the same time!